During the final performance Wagner took the baton out of Hermann Levi's hand and conducted the last act from the transformation scene to the end. 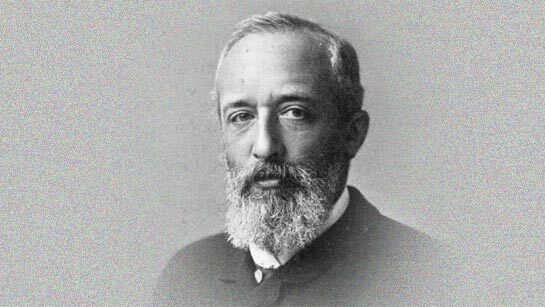 Hermann Levi in a letter to his father: "At the end of the work the audience broke into applaus that defies description. But the Master did not show himself, but remained with us musicians, making bad jokes, and when the noise of the audience showed no sign of abating after ten minutes, I shouted ’Quiet! Quiet!’ at the top of my voice. This was heard up above, and people did quieten down, and then the Master, still at the conductors desk, began to speak, first to me and the orchestra; then the curtain was raised, the whole company of singers and technical personnel was assembled on the stage, and the Master spoke with such affection that everyone started to weep – it was an unforgettable moment!" 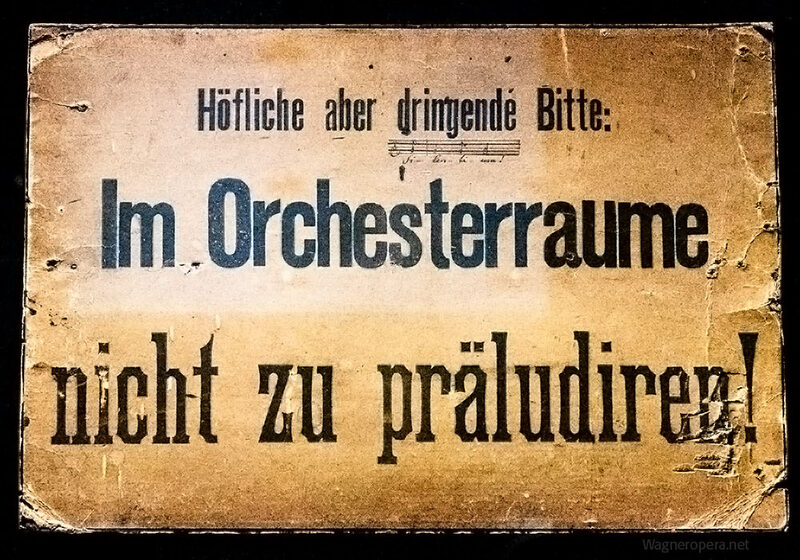 Clear message to the orchestra members about not to practice in the orchestra pit. Sign in Richard Wagner Museum, Bayreuth. "With Strauss, the tempo is much livelier than is usually adopted for this sacred play. Yet it loses nothing of its pious and heartfelt mood either, something which of course must always be retained. And the theatrical piece that is Parsifal also received immense drive so far as purely dramatic effect is concerned. Totally new aspects, tensions and triggers which one would hardly ever have expected are suddenly illuminated. Those long drawn-out movements, further extended by slow tempos (for instance in the case of Gurnemanz in the first act) become more comprehensible thanks to tighter tempos. 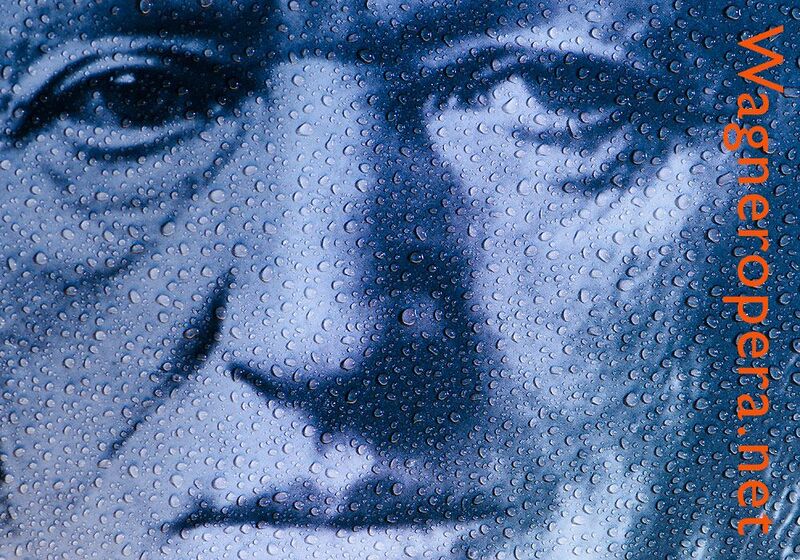 Of course, Strauss is no mystic - but he is a musician of such great calibre that he managed to convince with his Parsifal performance, despite its veering away from all those well-worn paths, and left everyone deeply moved." Released on DVD. Cast: Siegfried Jerusalem, Eva Randova, Bernd Weikl, Hans Sotin, Matti Salminen. Stage director was Wolfgang Wagner. A new production. Stage director: Stefan Herheim. Sources: Jonathan Brown (Great Wagner Conductors), Derrick Everett, Per-Erik Skramstad, Hartmut Haenchen. 12'15" Jaap van Zweden, Radio Philharmonic Orchestra. Concert performance. 13'18" Daniele Gatti, Bayreuth, 2010 (Stefan Herheim's Parsifal production). In 2008 Gatti conducted the prelude one minute slower. 14'20" Daniele Gatti, Bayreuth, 2008. Premiere of Stefan Herheim's Parsifal production. Two years later, Daniele Gatti conducted the prelude one minute faster. 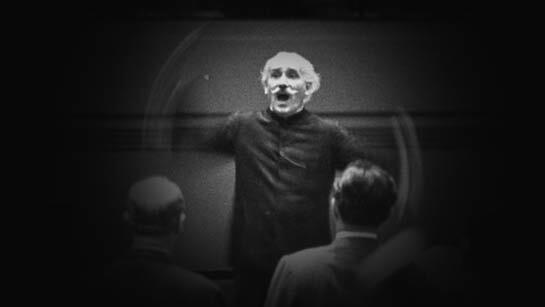 15'35" Rudolf Kempe, Wiener Philharmoniker, 1958 (Seraphim). Concert ending. Parsifal at the Bayreuth Festival. Directed by Uwe Eric Laufenberg. Reviews and comments.